LASIK (laser-assisted in situ keratomileusis) is a safe,reliable and painless way to improve vision and reduce or eliminate the need to wear glasses or contact lenses. LASIK changes the way light is bent, or refracted, as it passes through the cornea so that it focuses properly on the retina and objects can be seen clearly. Dr.G.N.Qureshi uses only the greatest technology to perform this procedure, including Femtosecond flap creation and Wavefront analysis. Bladeless LASIK allows patients to have a laser generated flap, making a safer and more precise procedure. Custom LASIK provides an additional level of precise data about your vision requirements using wavefront technology. 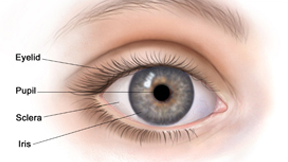 The entire procedure takes only 10 minutes per eye, and patients are often ready to leave within an hour. The flap heals on its own within a few days with no need for stitches. Dr. G.N.Qureshi is an American trained LASIK Surgeon in Pakistan DR. G.N.Qureshi a leader and pioneer in Laik Eye Surgery in Pakistan. Doctor.G.N.Qureshi is the first eye surgeon who starts Lasik Surgery in Pakistan at Karachi andWhere you are treated as a unique individual, not as a part of a assembly line, The focus of our practice is medicine, not business, we do not allow medical decisions to be influenced by cost issues.